It may not be the most interesting piece of news, but it is important news nevertheless! Anything that makes the journey to and from Efteling easier is good news for us! 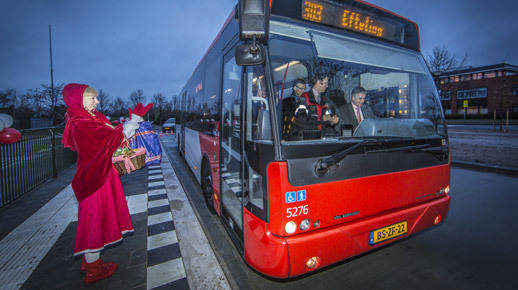 The bus station opened officially on January 15th, and according to deweekkrant.nl, ‘The new bus station has wider stops, a new bicycle and provides better bus passenger travel information.’ Better travel information, that’s what we like. Even Roodkapje was elated to see a bus arrive at the new bus stop. She could probably do with a vacation! That’s brilliant news! Have you any more details? We are going again soon, ferry, rail and bus!! Anything that makes the journey less stressful is a real bonus!! !